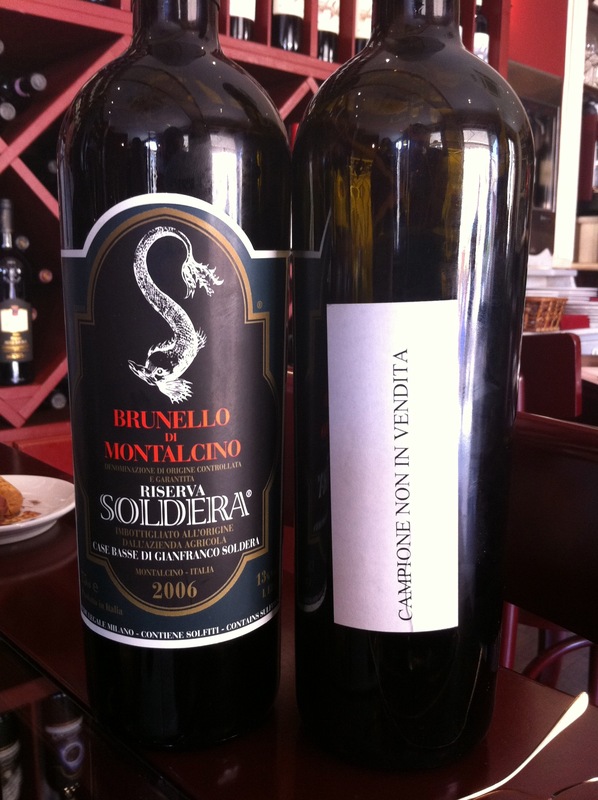 The Soldera 2006 was not yet released, as we sipped it with Gianfranco on a sunny day nearby his home. He is a small spit-fire, his passion is clear, cuisine, vino and his wife’s garden. His cellar’s are all naturally vented with stone walls and surrounded by barrels of wine aging. This 2006 wine was young but ready to be enjoyed. We finished two bottles amongst the three of us. Gianfranco has a strong opinion, he states his case about his Brunello; aged for five years in casks of Slavonia, away from any noise, temperature and odors. Using only grapes from the vineyards of Case Basse. The wine is made only in vats and oak barrels.